We headed to Cross and Main in Youngsville, NC for Laura Beth's bridal portrait session. It was February and a still pretty chilly outside so when she said she wanted to go somewhere inside with an elegant look I immediately thought of Cross and Main. 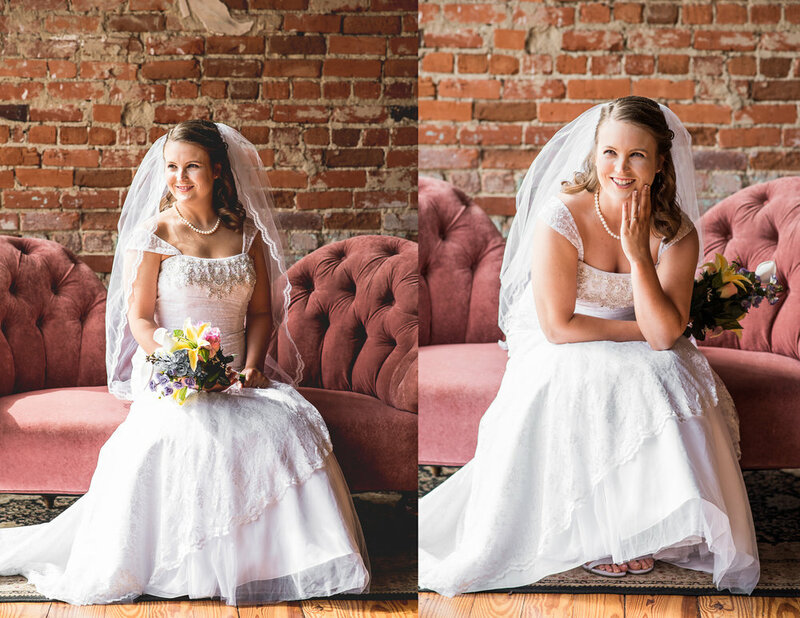 They have beautiful exposed brick throughout the venue along with adorable antique couches. I am so excited to share these images with you now that she is a married woman and heading to Hawaii for her honeymoon! Check them out!